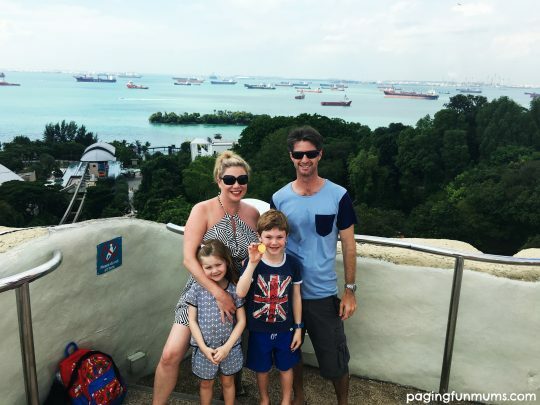 When I was asked by Singapore Tourism to come and visit their beautiful county with my family, I was overwhelmed with excitement! I’d always wanted to visit and had heard so many amazing things! 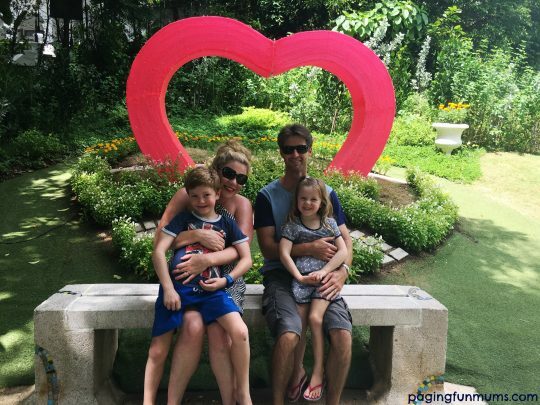 What I had assumed it would be like was nothing at all what it was actually like…Singapore was above and beyond anything I could have imagined and we had the best family holiday of all time! 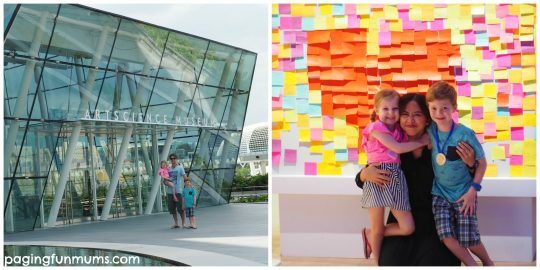 I’ve compiled a list of the best things to do in Singapore as a family (and trust me, we did a LOT!). 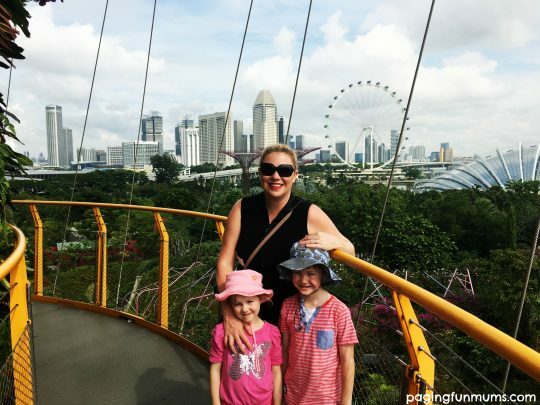 If you have been thinking about heading to Singapore then I can hand on heart recommend you do it as soon as you possibly can. Fun is an understatement! 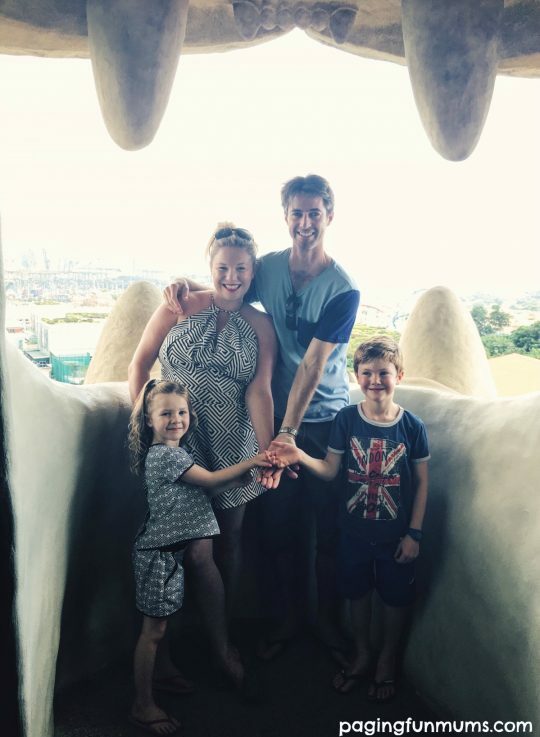 It was an 8 hour flight from Sydney for us so I wanted to make sure my two little kiddies were going to enjoy their flight. 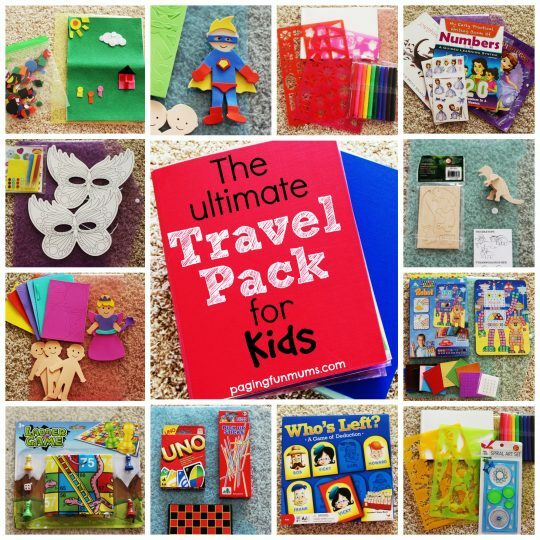 I put together a ‘Travel Pack’ for them both. They played with everything and it kept them amused the whole time! You can download the free PDF below to give you some ideas for your next trip! Download the free printable here. 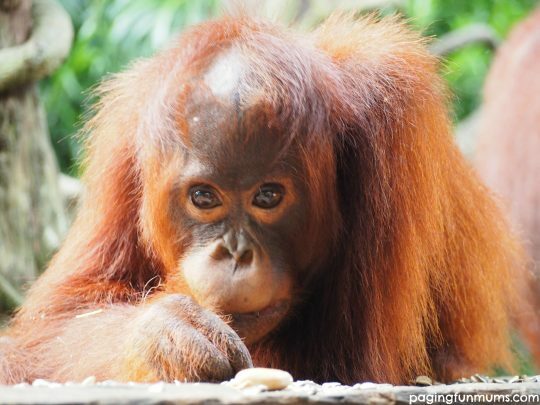 Have breakfast with the Orang utans at Singapore Zoo! This is one of the best experiences of my life! The Ah Meng restaurant is named after the most famous Orang utan in Singapore. She became a tourism icon of Singapore after she was rescued by the zoo. She rubbed noses with the likes of Prince Phillip and Michael Jackson no less! 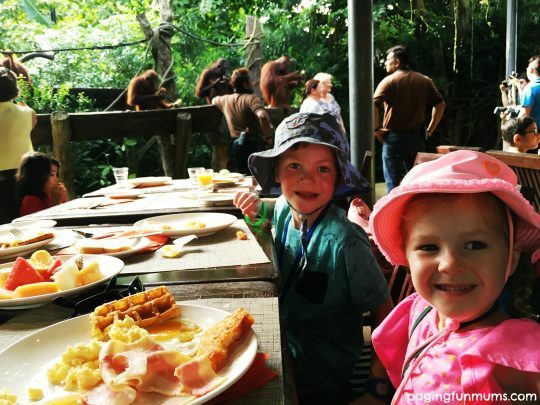 The breakfast is a gorgeous buffet of both western & eastern cuisine all consumed whilst sitting with the most beautiful family of Orang utans – including a very curious and hilarious baby! After breakfast, we roamed the massive zoo and saw Flamingos, Wart Hogs, Albino Rhinos, a gorgeous White Tiger and so much more! 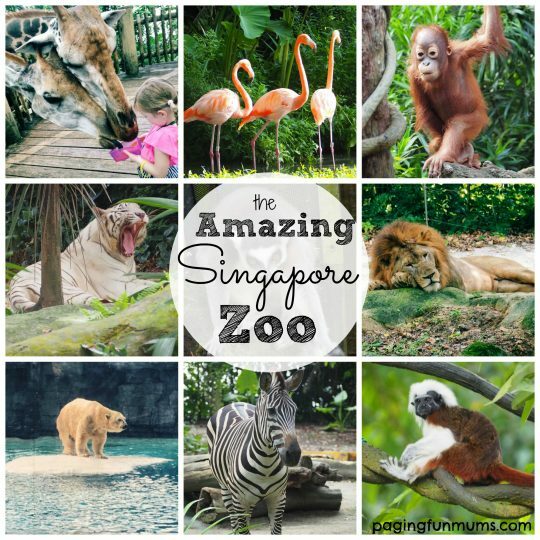 Singapore Zoo is rated one of the best in the world and is an absolute must! Just saying! We were so close to the beautiful Orang Utans! It was beyond fantastic! 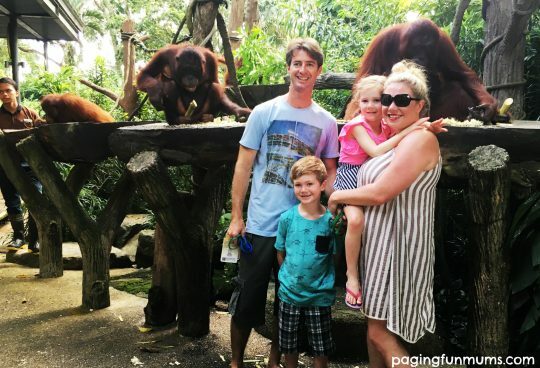 Everyone needs a family shot with a family or Orang Utans yes? 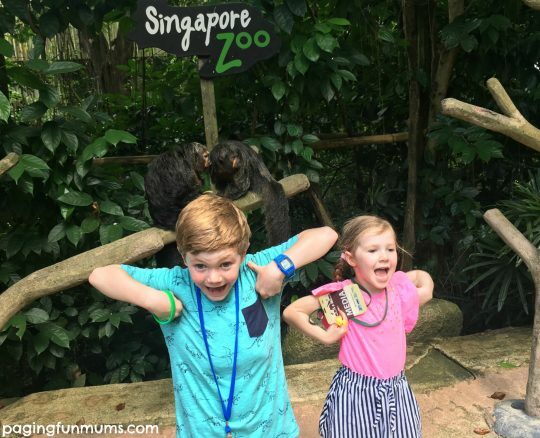 My little monkeys doing what they do best – monkeying around! This is the best water park I’ve ever been to! 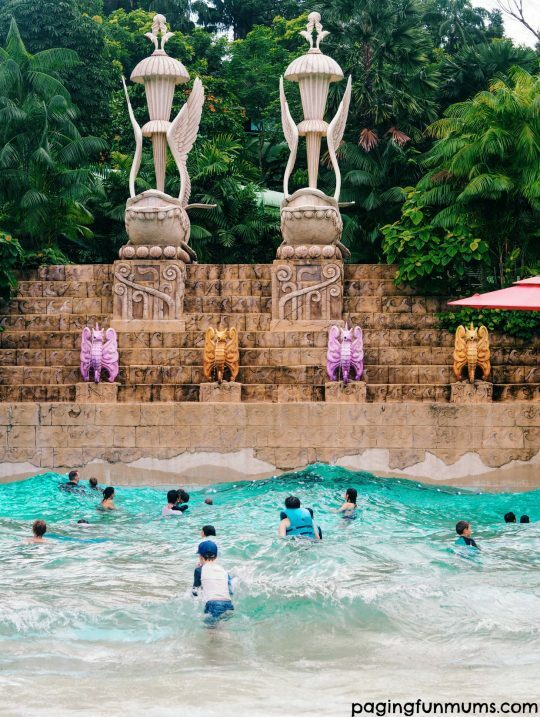 It includes high-speed watersides like no other for the big kids BUT it also has exclusive activities such as snorkelling with 20,000 tropical fish, hanging out with Sting Rays AND cruising down a leisurely river ride on a tube, drifting past an underwater tunnel full of marine life, a lush jungle garden and more! How cool is that! It also has an amazing wave pool. The kids float around in flat waters until a giant horn goes off and the waves start to roll in. The suspense is the best part! This is Singapore’s ‘Guardian of Prosperity’. 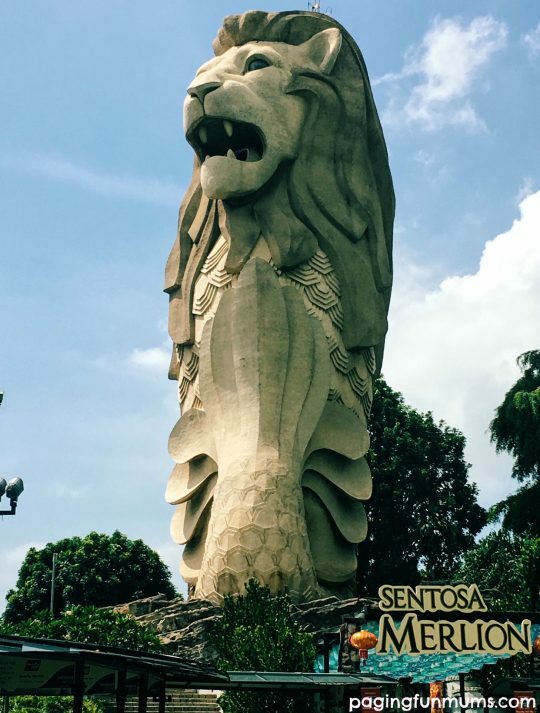 Half Lion, half fish, this mythological creature is 37 metres tall and you can get to the top and stand within it mouth amongst his fangs and take in a spectacular view of Sentosa Island! 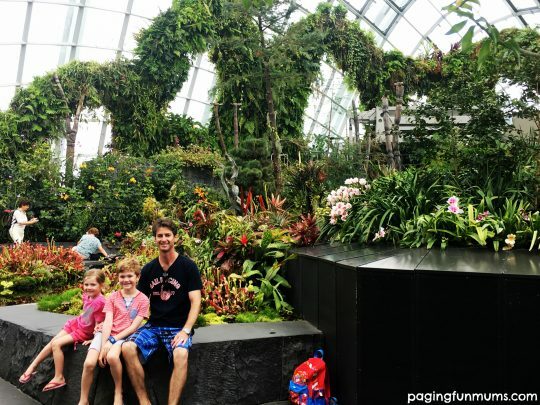 A great family photo op and a definite ‘Singapore bucket list’ tick. The views are truly spectacular! For someone who loves trying out local cuisine (like me) this is the place to be! At night this busy street is shut off at 7pm and chairs & tables are put out under the stars in front of stalls selling mouth watering delights! The abundance of food from different areas such as Indonesia, India, China, Malaysia and the list goes on make for the perfect eclectic buffet! We got a jug of local Tiger beer, ordered from different stalls & took in the sounds, sights and smells and had an absolute blast! It was so wonderful to watch the kids experience and enjoy the different flavours and surrounds! Situated at Marina Bay Sands, The ArtScience Museum is for starters an architectural beauty! With it’s constantly changing major line-up of international touring exhibitions, there is always something amazing to see! We were lucky enough to experience “The Nobel Prize: Ideas Changing the World”. We learnt all about Alfred Nobel (the founder) his family and the legacy he left for the future Nobel-Prize winners who have shaped and continue to change our world. We had the most beautiful curator Deena. If you see her when you’re there, say hello to her for me! Family Tip: Children go free every Friday. Up to four children under 12 years old enter for free with every adult ticket purchased. Interact, learn and play as a family with a series of child friendly activities and programmes. Take the lift up 55 levels to one of the most spectacular views in the world! We enjoyed lunch at Ce La Vi and it was honestly the best meal I have ever had in my life! The attention to detail in the flavour and presentation in the modern Asian dishes were beyond amazing. With floor to ceiling windows while you dine, what’s not to love? You can check out the 150-metre infinity edge pool too – it’s honestly like nothing I have ever seen before. 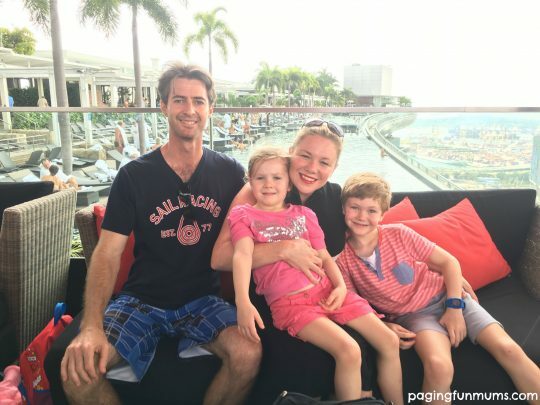 We had so much fun enjoying the sights from the top as a family. Snuggle time! Yes, there is actually a giant Butterfly Garden smack bang in the middle of the airport! 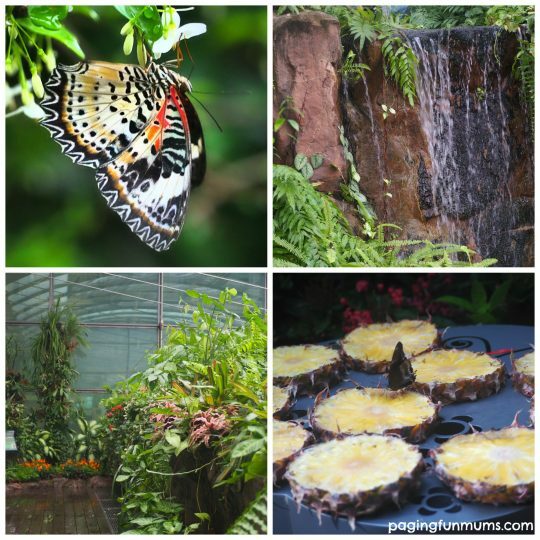 It’s the world’s first and houses over 1,000 tropical butterflies aswell as a 6 metre waterfall and a myriad of gorgeous flowering plants! My son is obsessed with Butterflies so this was one of his highlights. There is even an ‘Emergence Case’ where the kids got to witness butterfly feeding & breeding at close range. 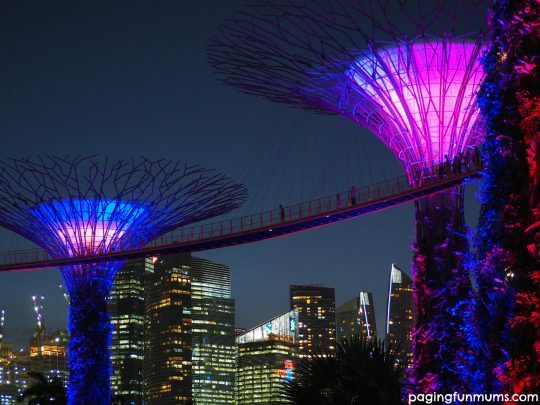 The ‘Garden Rhapsody Light & Sound Show’ in Singapore’s ‘Gardens by the Bay’ is again, nothing like anything we’ve seen before! 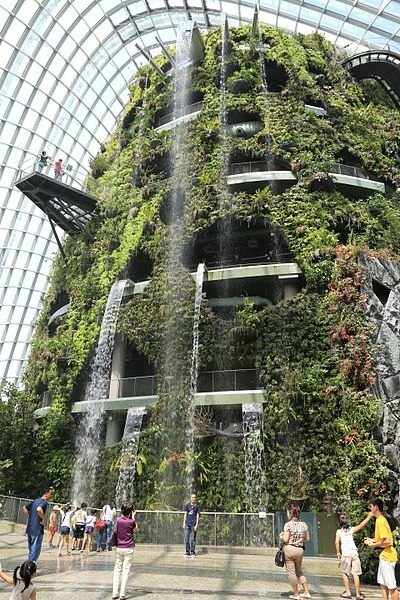 They are tree like vertical gardens which stand between 25 and 50 metres tall! During the day they are spectacular but at night they come alive with a spectacular light show done to music…it’s absolutely free too! We walked across the bridge in the canopy and felt like we were in the Avatar movie! So surreal and amazing! You can also visit ‘Cloud Forest‘ whilst you’re there! 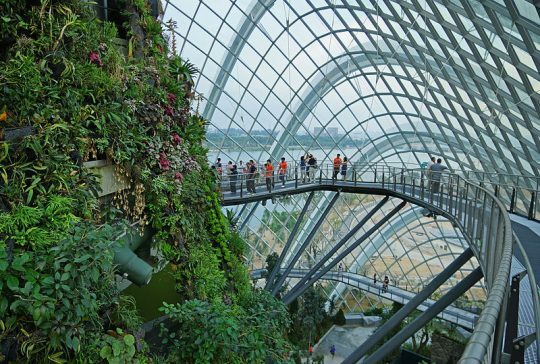 It’s an amazing piece of architecture that is designed to replicate the tropical highlands and houses the world’s tallest indoor waterfall! You can walk along the walkways in the ‘clouds’ for and view the canopy from above. It really is breathtaking! Such a superb place for a family photos! 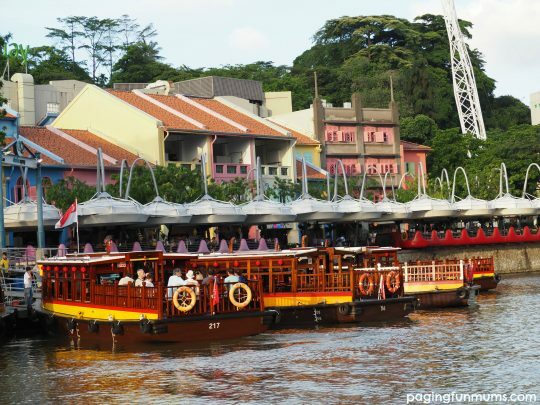 Cruise down the river in a beautiful ‘Bumboat’. 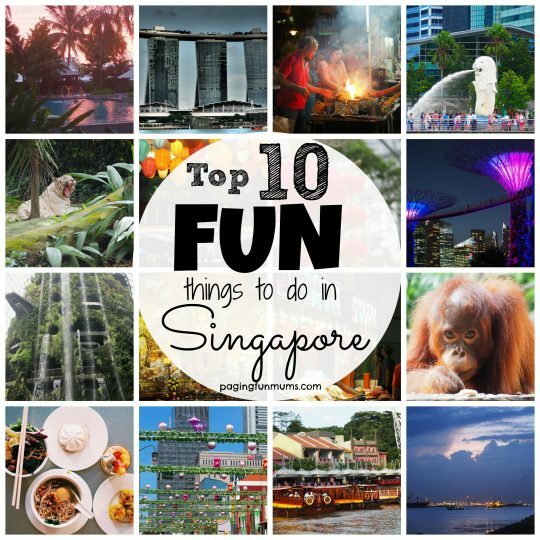 A definite must do if you’re heading to Singapore! Learn all about the cities structures and take in the sounds & sites of this gorgeous city! The cityscape of Singapore is so awesome – it has traditional shop fronts and modern skyscrapers in the same spot! So cool! 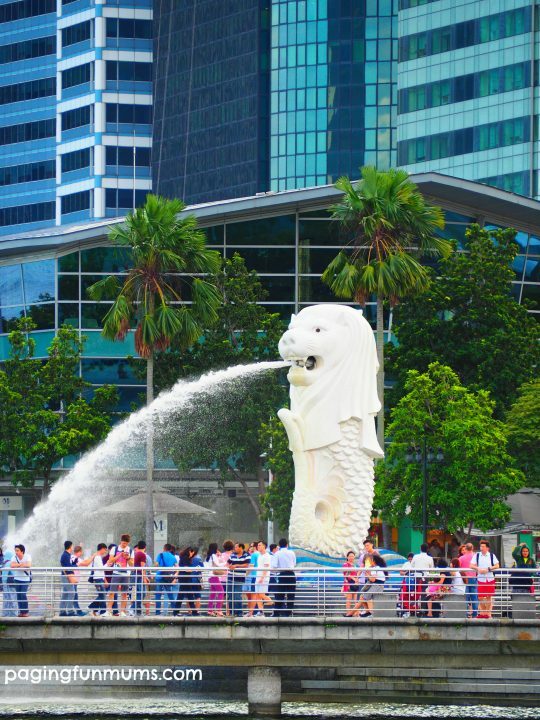 You also get to cruise past Boat Quay, Clarke Quay and Marina Bay where you’ll find another cool Merlion! This one is a giant fountain! The kids loved him! See the Wings of Time Show! 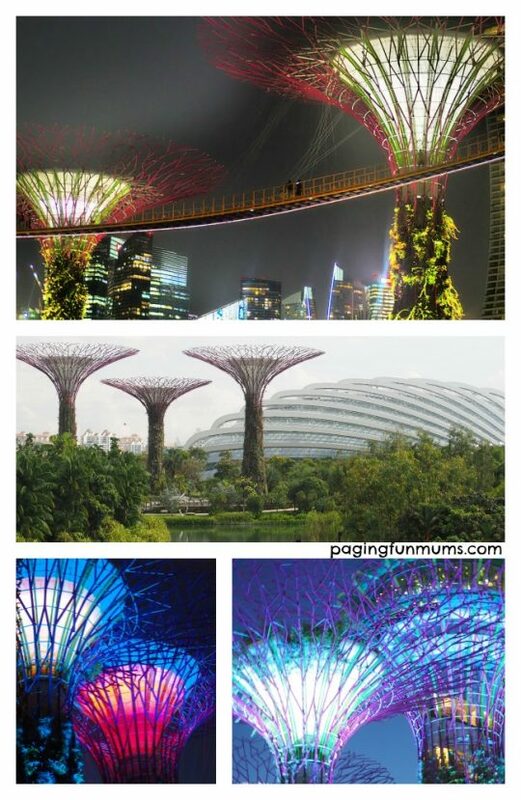 Set on the beautiful Sentosa Island, ‘Wings of Time’ if the only permanent light show in the world set in the open sea. The ocean is the backdrop and this show is like no other! It combines lasers, 3D projection mapping, robotic water fountains, music, fire…it’s seriously amazing! We were captivated the entire time and I would highly recommend this to anyone who will listen! It was the best show I’ve ever seen! Here’s us soaking up the rays at the Festive Hotel Pool. It was so lovely. There are so many cool family photo opportunities! We love you Singapore! 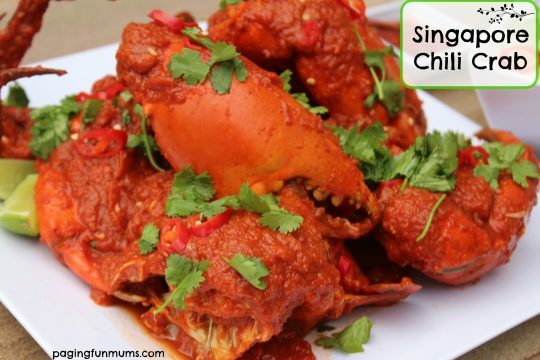 I was in so in love with the food in Singapore, that I came home and tried my hand at one of their most famous recipes Chili Crab! It was delicious to say the least! Click here for the free recipe. I also made a family video of our trip that you can check out below. If you have any questions about our fantastic trip, please don’t hesitate to add them to the comments below! I could talk about Singapore forever! You can also check out more on Yahoo Travel here. 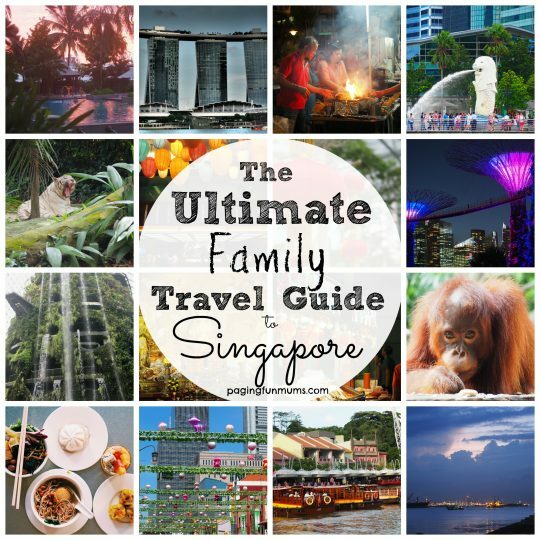 You can also enter to WIN one of two Family Trips to Singapore! Click this link and select four experiences. 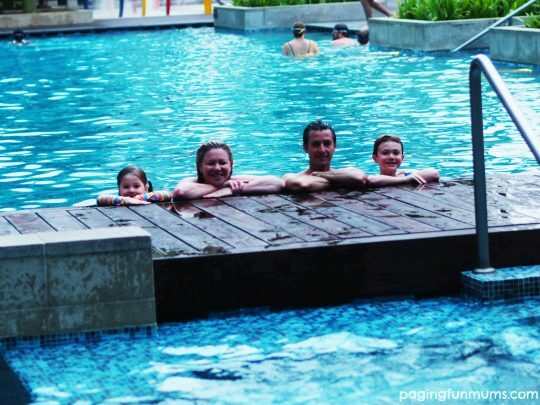 Then tell us in 50 words or less why they are your top choices for a dream Singapore holiday! 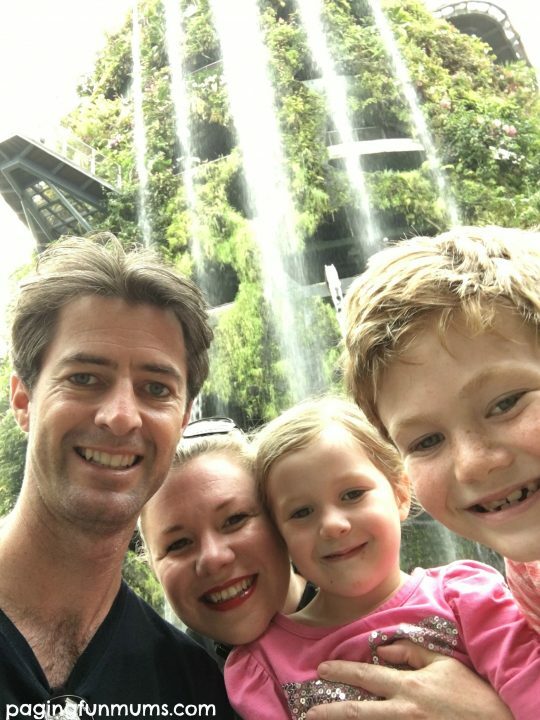 Thank you for this wonderful chance of a lifetime our fingers are crossed to win our first family holiday. I love to travel. I have not been outside of the U S. Singapore sounds like a fun place to go visit. 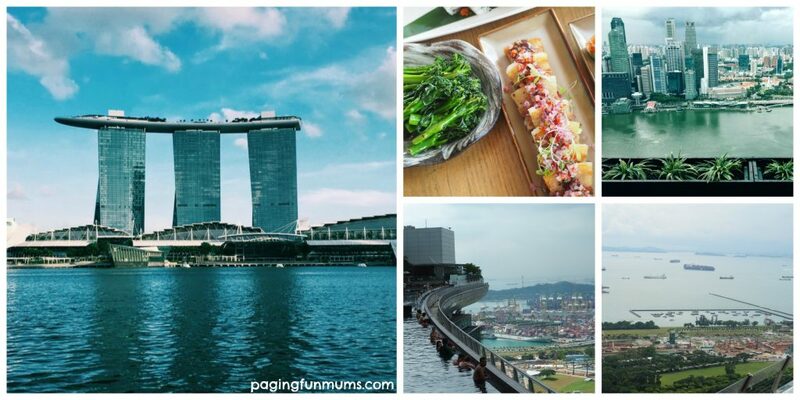 Looks like you had an amazing trip to Singapore – I love all the info you’ve included in your blog! Is the competition open to New Zealand residents too? I wish this was open to your readers in the United States! I’d love to take my children on a trip there!